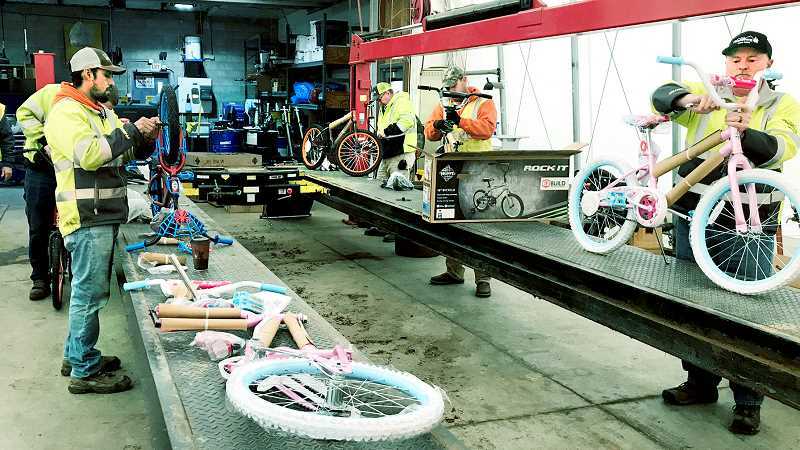 Lending its helping hands to the Toy & Joy program, the city of Newberg's public works department assembled more than 20 bicycles for children in need last week. The bikes were delivered to families throughout the community. 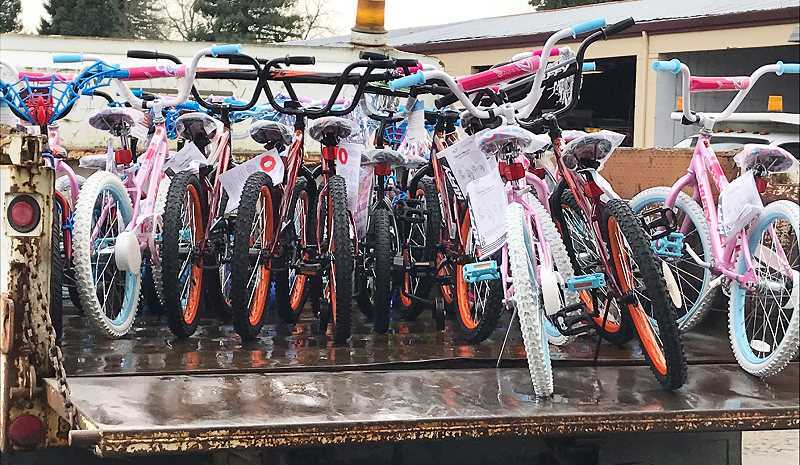 This was the second consecutive year that public works employees assembled the bikes, and according to Superintendent Russ Thomas the job fills a need for Toy & Joy left by the transition from the Newberg Fire Department to Tualatin Valley Fire & Rescue last year. "Most of the guys down here are really mechanically inclined," Thomas said of his department. "Everyone at Toy & Joy gets the bikes donated, and so we just lined them up and put them together." The process was efficient and only took public works employees an hour, Thomas said. The bike parts showed up in boxes with assembly instructions and the group of employees assembled them with relative ease. Being mechanically inclined, as Thomas said, made it that much easier. Assembling the bikes is just one of the community service projects that the public works department has taken on over the past couple years during the holiday season. In the past, Thomas and his colleagues have helped Friendsview Retirement Community residents put up their Christmas decorations and bundled donated diapers for A Family Place children's nursery, among other service projects. Bikes were delivered to the fire station on Friday and were distributed on Christmas Eve. "It's going to help people in need in the Newberg area," Thomas said. "That is what the community service projects we do during Christmastime are all about. Outside of what we do every day, this is just another step to give back to our community and do something worthwhile that helps people out."